Honestly, the entire Buzz Bee booth could qualify as best in show. They completely overhauled their darts. They came up with slick packaging. Best of all, Buzz Bee expanded the Air Warriors product line considerably. However, only one blaster could be picked, and the obvious choice was the Thermal Hunter. It’s a pump action Sentinel in function. It comes with PrecisePro darts for enhanced accuracy at close range, as well as total ranges of up to 90′. With the other dart types, it can hit 100′. And it comes with both a functional infrared-based sight (working range of 50′-60′) and an adapter for use with competitors’ blasters. All for $25, and as a Target exclusive, What’s not to like? 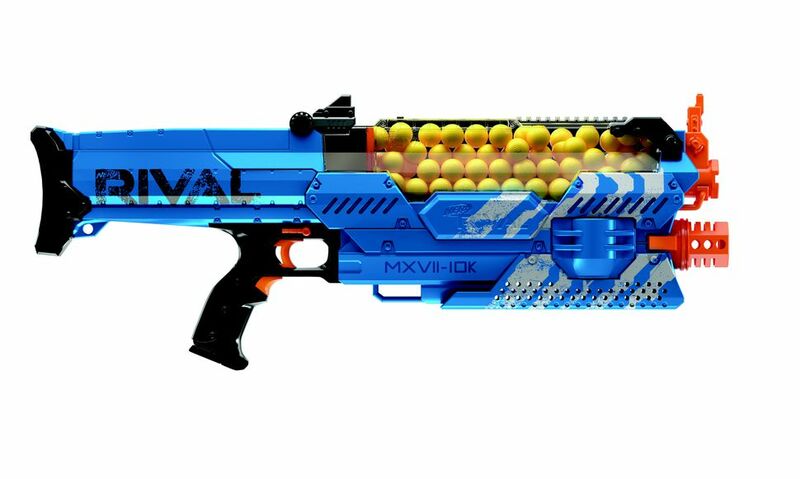 Let’s be honest – most Nerf entries weren’t a surprise going into Toy Fair. What I didn’t expect was the sheer joy of having 100 rounds at your disposal to just launch everywhere. This blaster’s ROF is great, but being able to sustain it is what makes the difference. Even when you’re the target, you can’t help but smile as bursts of fire bounce off you. The $100 price point is certainly expensive, but it would be well worth it. I found myself unable to put any of these blasters above the others, so I’m going to feature all three. 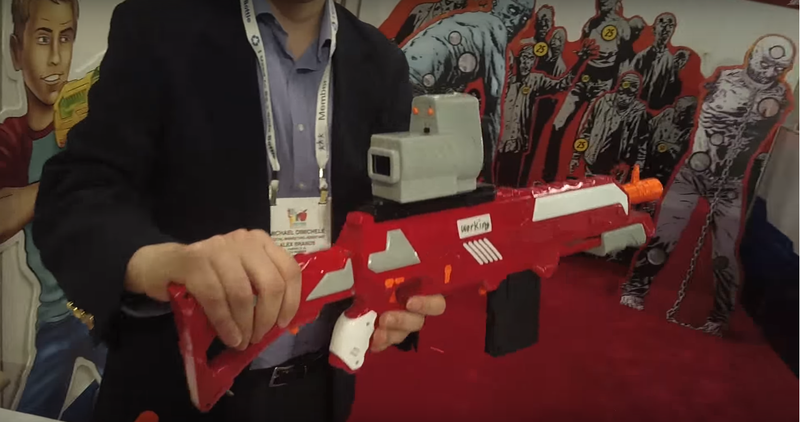 The Zuru blaster, while not functional here at Toy Fair, shows extensive potential in things like HvZ games. Forty rounds, split into groups of twenty, allowing on the fly reloading for one set while you fire from the other. 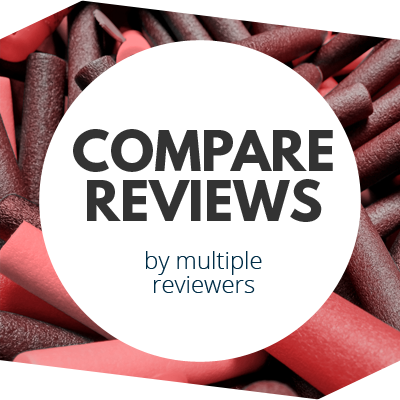 It’s a solid, medium-sized blaster that could do wonders if performance holds up. I encourage Zuru to have working models available for demo or testing at Nation v Zombies this summer. Buzz Bee, meanwhile, has a great scavenging entry in the form of the Rail Blaster. 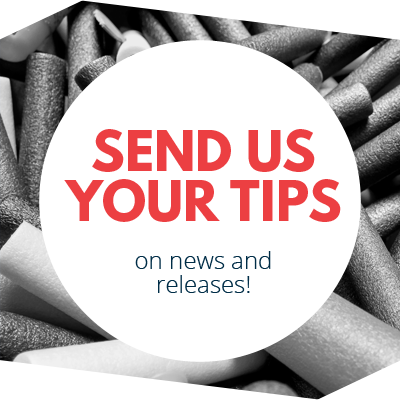 Six shots in a tubular magazine, continual reloading, and the 100′ potential ranges with Buzz Bee’s new darts? It’s easy to see the excitement. 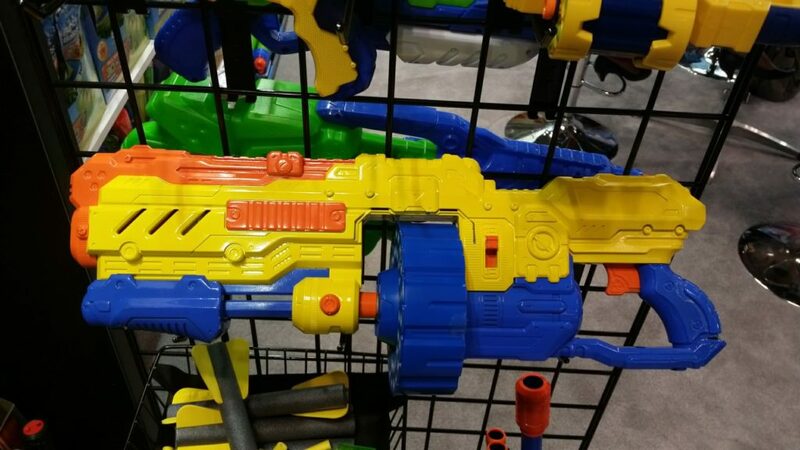 And thanks to its relatively small size, it doesn’t have to be your main blaster. Rarely can you have a secondary capable of replacing your primary blaster. Finally, I have to give a nod to Diggin Active and their Slimeball Launcher. 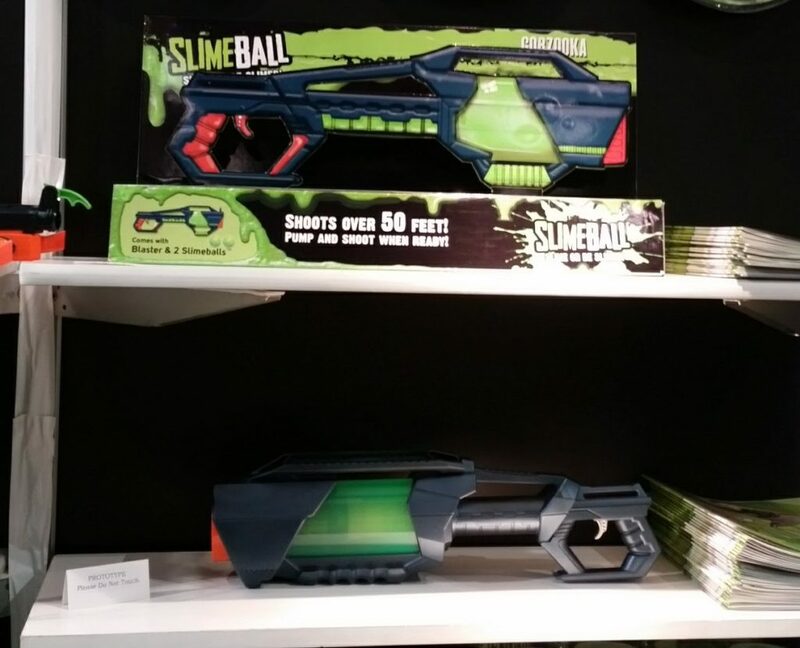 It’s a powerful air blaster for launching their Slimeball Tag projectiles up to 50′. Most NIC readers, however, will realize that there is hope for long range dart blasting. 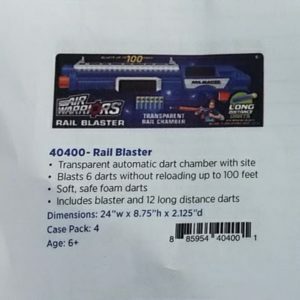 We’ve always had strong followings for items like Buzz Bee’s Big Blast and Extreme Blastzooka, or for items like Nerf’s Airtech series. 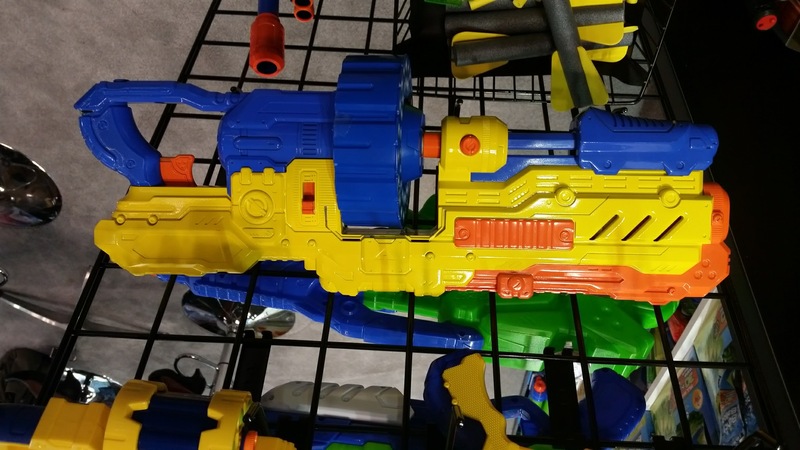 With air blasters largely absent from Toy Fair this year, it’s great to see a solid design just begging to fire any size foam dart or missile. Not to mention the fun of launching the Slimeballs, also known as its intended purpose. Naturally, all modifications are done at your own risk and are not condoned by any manufacturer. While the rest of this post has been based on my opinions, it would be a shame to ignore an actual award. Zuru’s Bunch O Balloons was awarded the TOTY for the entire Active/Outdoor Category. Quite simply, they’ve seen massive worldwide sales and were quite deserving. In addition, they’ve been able to fight off legal challenges to the product’s patent, ensuring that for the time being, Bunch O Balloons sales will be able to supercharge the rest of their water-drenching toy line. 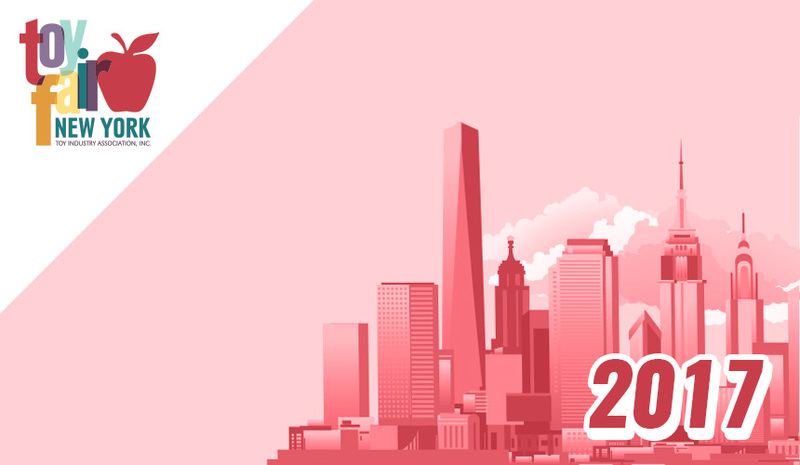 This entry was posted in Blaster Hub: Recommended, News/Updates on February 21, 2017 by BuffdaddyNerf. Is the Bug Attack Crossbow compatible with Nerf clips? Umm, is the thermal hunter slam fire?